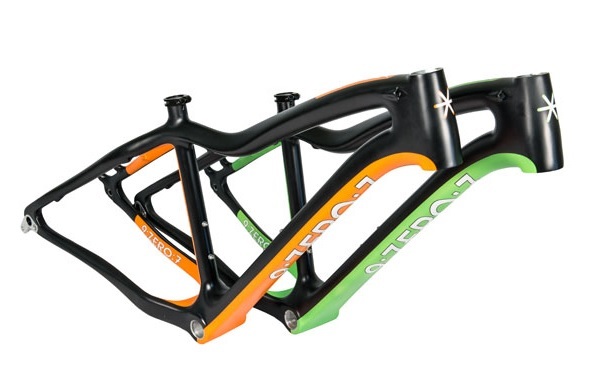 Full carbon swoopy niceness - orange or green highlights, comes with a frame, fork and headset as well as through axles front and rear. Light, low, mean and moody. Like a scary clown lying in a ditch.